Bring spring inside your home with these sweet mini planters. Today I am sharing a DIY mother's day gift idea made from recycled cans. 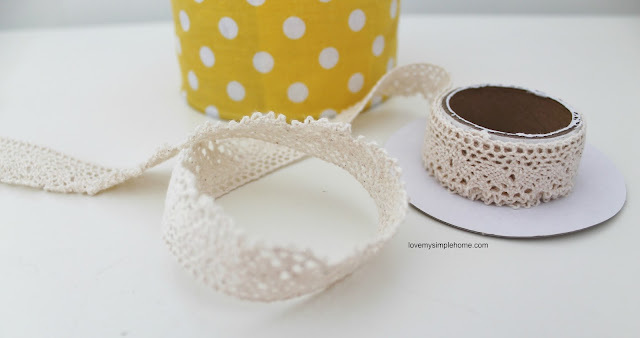 This is a fun project to make with your kids or grandkids. This post contains affiliate links. That means if you click on one of those links, I will be compensated a small amount at no cost to you. 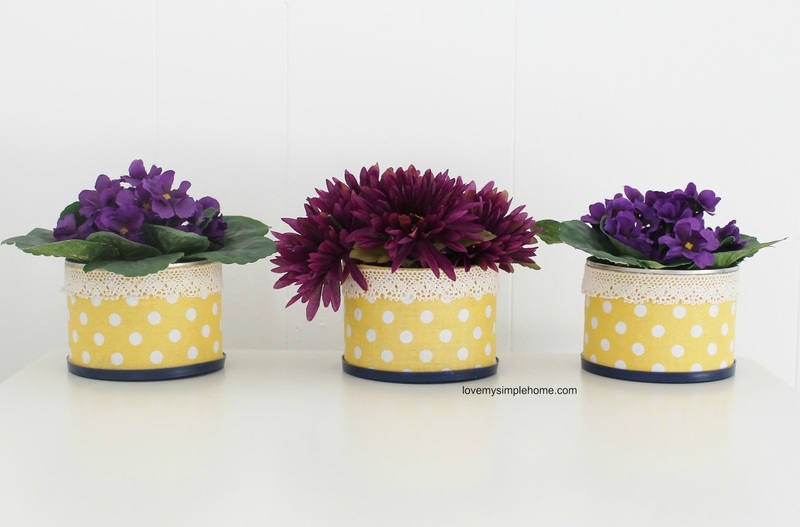 Did you know you can turn a can into a pretty flower planter? 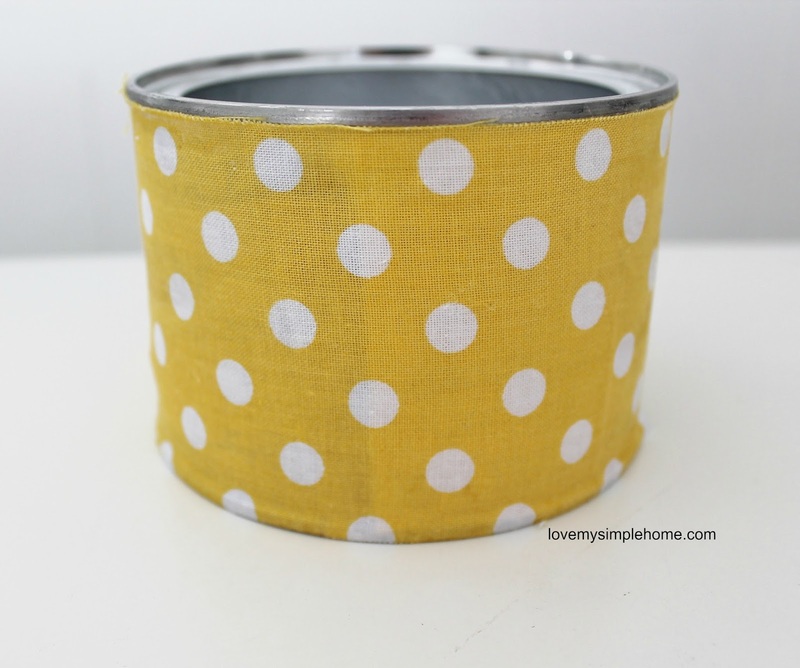 In just a couple of steps, you can add colorful decor to your home by repurposing an empty can of nuts. 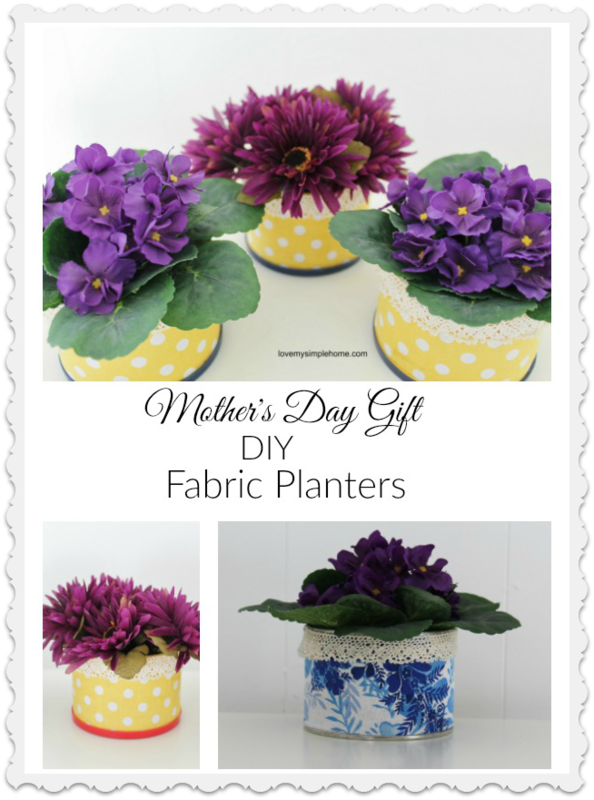 These mini planters will make a great Mother's day gift, filled with her favorite plant or silk flowers. Measure and cut the width of the fabric to fit around the can. 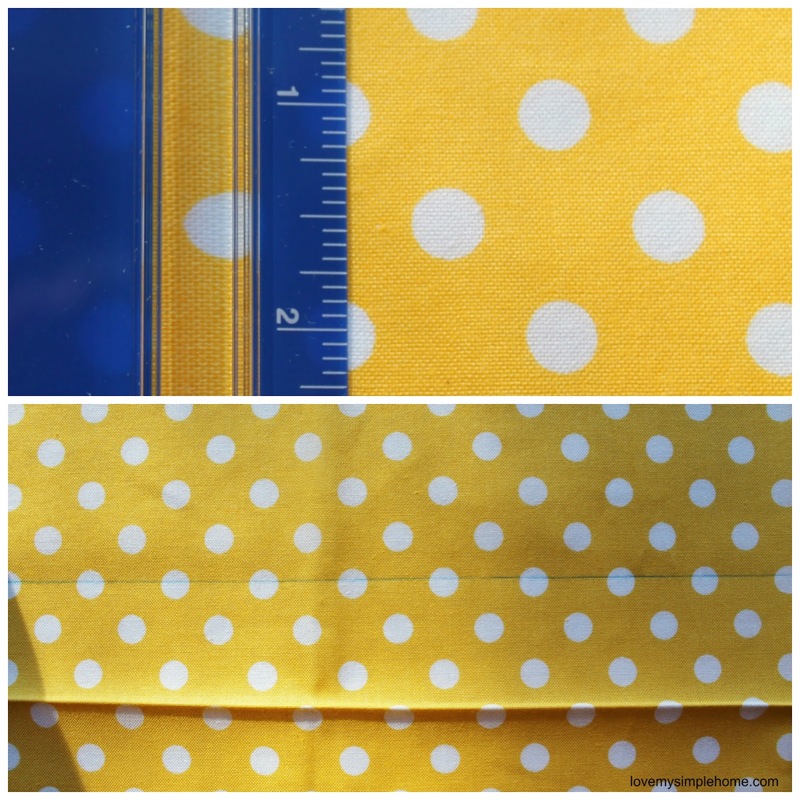 I chose a sunny yellow polka dot fabric. Amazon has a nice selection to choose from. 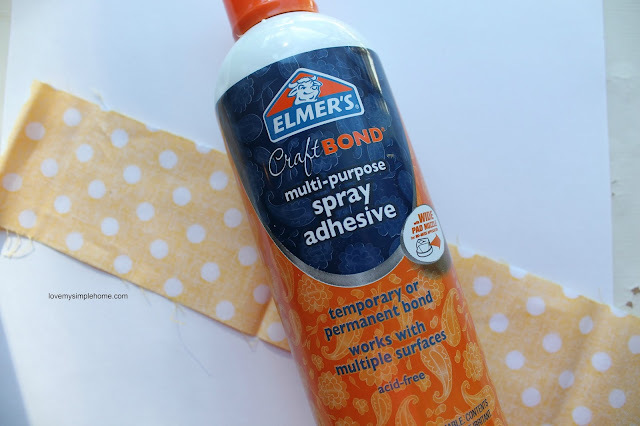 Spray the adhesive on the fabric. 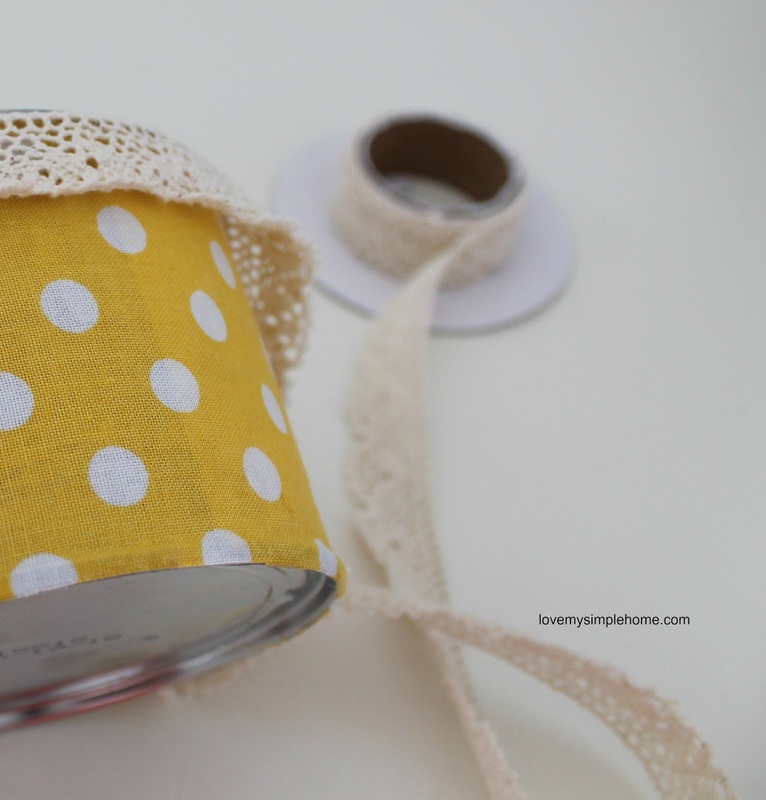 Place the cut fabric around the can. Then measure and cut the ribbon. 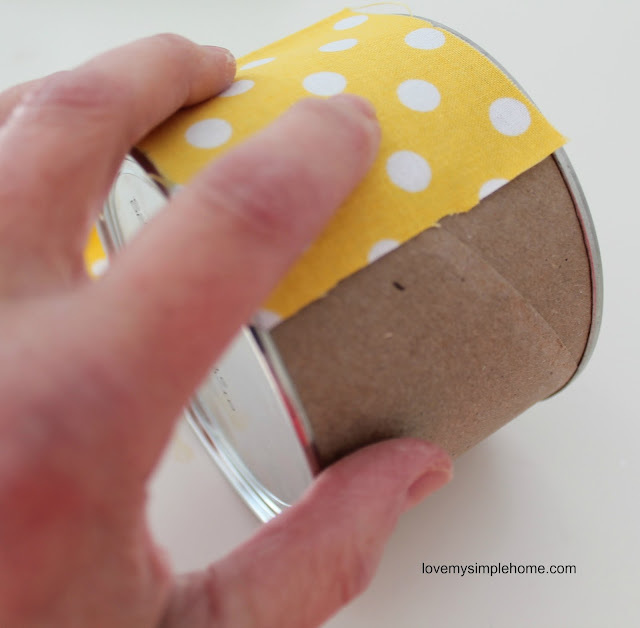 Glue the ribbon around the top of the can. 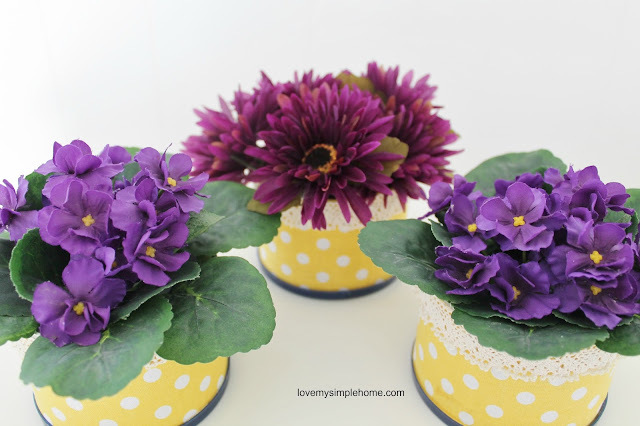 There are so many fun ways to use these mini planters: Place a live or fake flowering plant inside and put the lid on the bottom for added color. If you plan on using a live plant, make sure to drill holes in the bottom of the can for drainage. 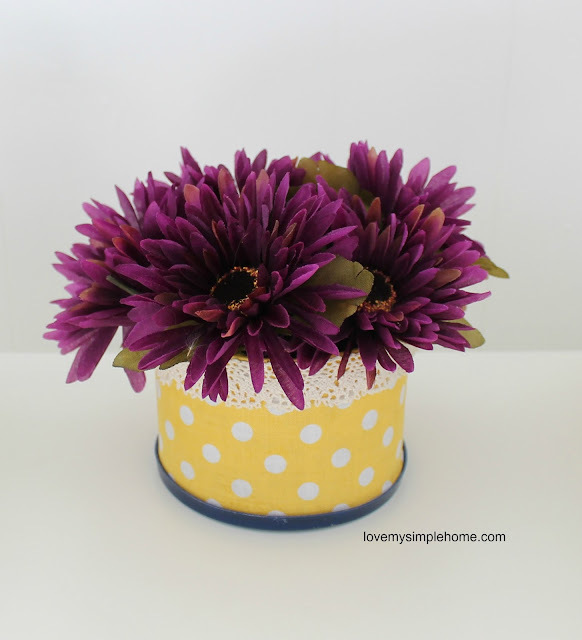 I cut the stems of silk flowers so they fit inside the can. Some of the cans have different color lids. It is fun to change out the lids for a different look. 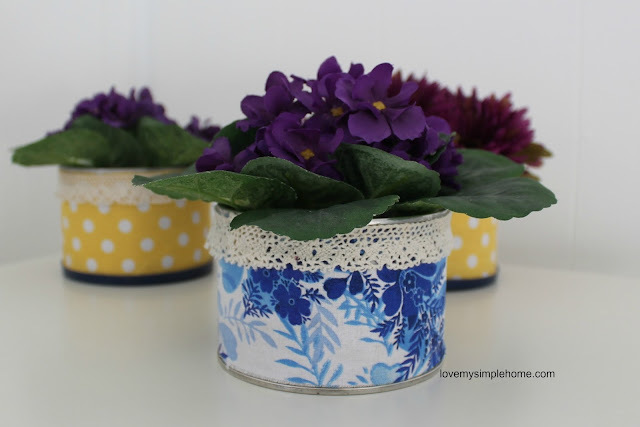 Click on the link below to find out how to make a jewelry gift box using these same cans! 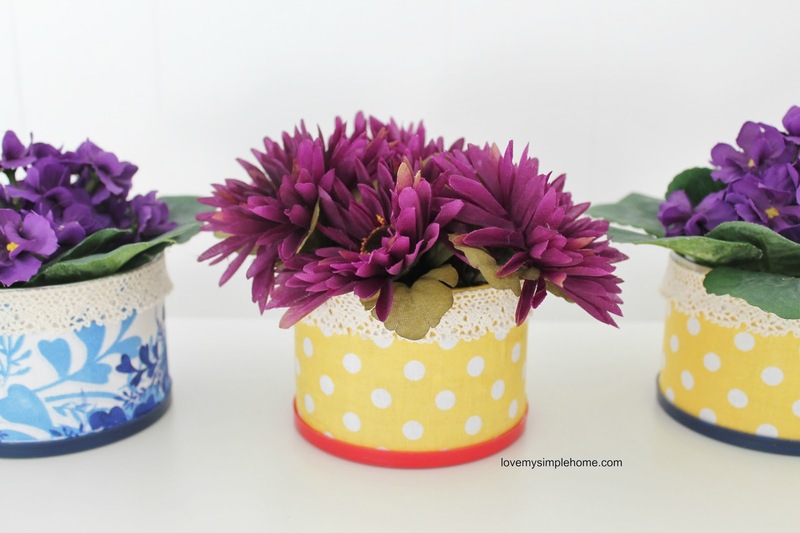 What a fun way to repurpose nut cans! I don't have any nut cans, but I do have cans from my flavored coffee. I will have to try this. I love the different patterns and colors of the fabric that you used. They turned out so pretty! Pinning! Coffee cans would be nice to use for this project! Thank you for the visit and thank you for pinning enjoy the rest of the week! I did this with baby formula cans and mod podge fabric. I love how you used lace ribbons, very cute! 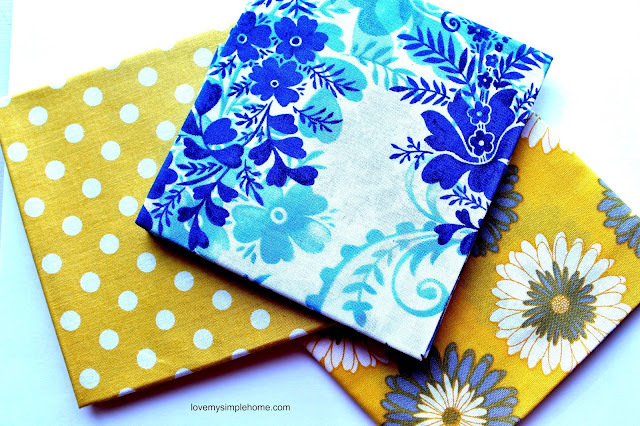 I love the idea using fabric <3! I once made some with a thin rope and my hot glue gun.